Temps creeping up into the nineties has proven useful for providing me afternoons out of the gardens and at the sewing machine. if you'll recall, a while ago I was pondering what sort of new sewing machine to purchase. I ended up deciding on a Janome and am so happy with it. It is a speedy and powerful machine. 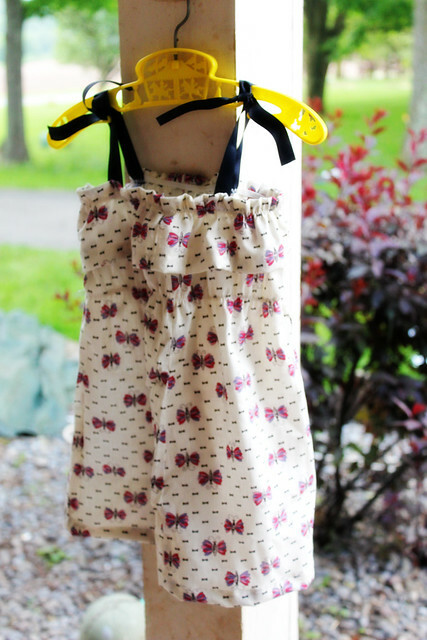 A sundress for Addie from vintage butterfly cotton from my stash. Skirt for little Addie made from a vintage linen I picked up several years ago at a flea market in Germany for about a euro. 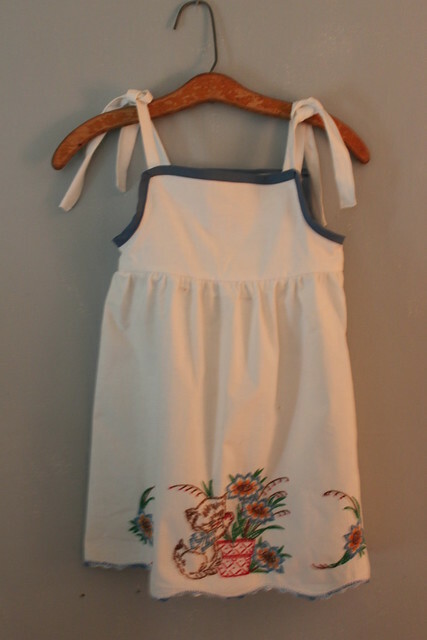 And finally, a sweet little embroidered vintage pillowcase made into a sundress for our Ella. Those are great! 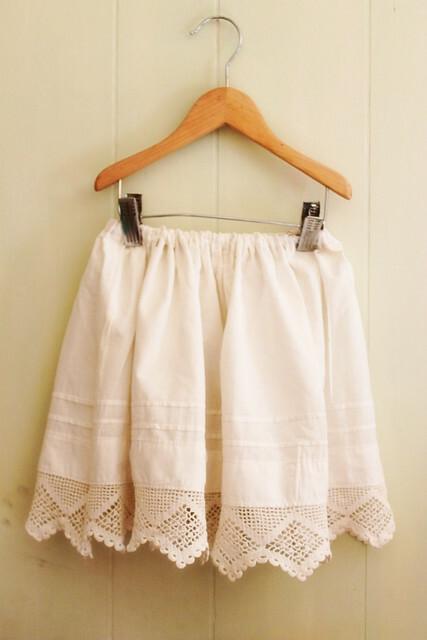 I love the linen skirt! Those are so very pretty! I love to use vintage sheets and pillowcases...the material is very good quality and they are oh so very cheap! Have a beautiful rest of the week, you and your family! They are beautiful ! 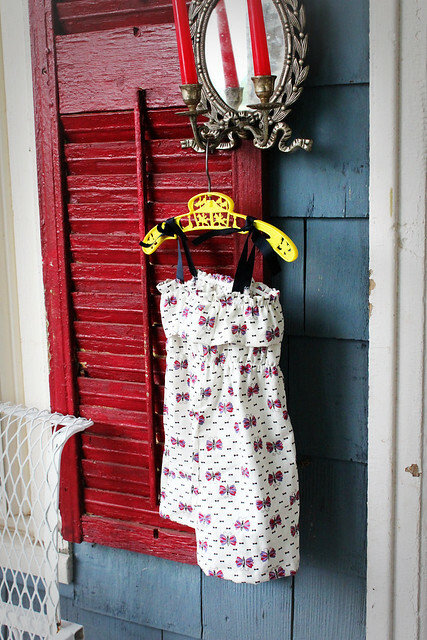 I love the yellow coat hanger.. We had the same ones when I was little, but they were blue.